Elon Musk and Tesla are the current big things in techtown. Tesla is seeing a good run on the market these days, as its stock continues to rise. In fact, traders who’ve held on to the stock for short selling have seen a lot of losses. Musk and his company continue to remain as the next or the current big thing in the automobile market. 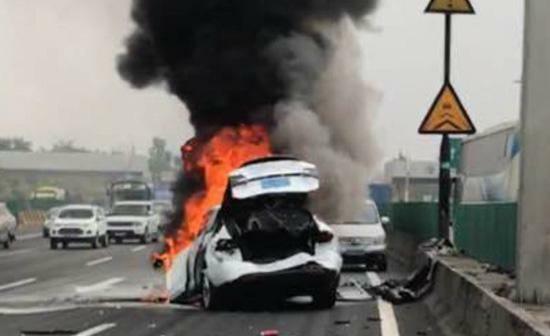 Today, we’ve got some news from China, where a Model X exploded earlier this year. Take a look below to find out more. The story of Tesla’s Model X crash in Guangzhou China earlier this year paints a mixed picture. At one end, the car’s airbags did not deploy and its rear doors failed to open. This resulted in severe driver injuries and one of the passengers, Ms. Lee being unable to escape initially. At the other, the driver of the car had less than one year of driving experience. This has led the traffic police to conclude that the accident was the result of driver negligence. To recount the accident, on February 19, Ms. Lee and her counterparts were driving from Shenzen to Guangzhou. 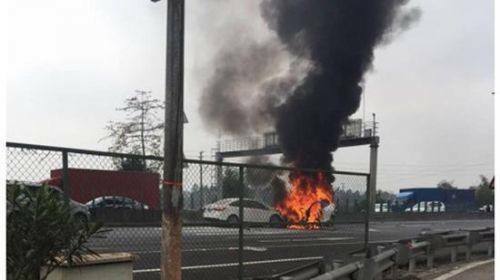 At 11:50am, on the 8km northbound section of the expressway, the driver lost control and the Model X collided with the center fence at a speed of 76km/h. To make matters worse, a Ford car then collided with the Tesla at a speed of 71km/h. 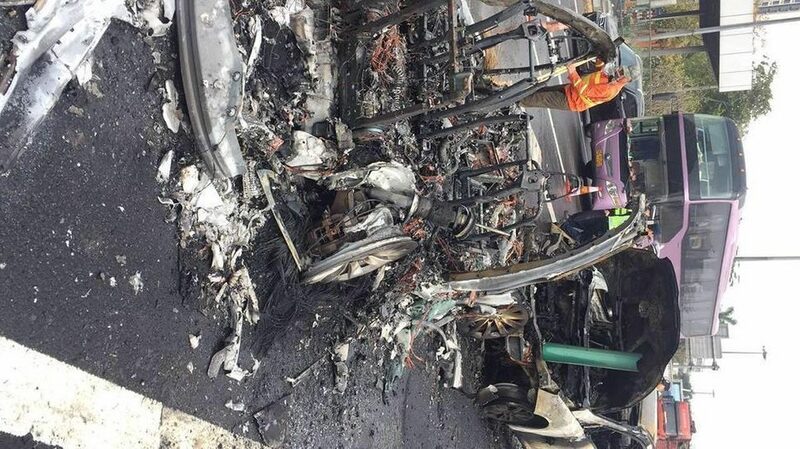 Not only did the Tesla’s airbags fail to deploy, despite this being a 180 degree collision, despite these moderate speeds, the Model X started to emit smoke and caught fire soon afterwards. Tesla has rejected the claims of the owner, pointing out that fire incident rates are much higher for conventional automobiles. The owner’s main contention is that a 70km/hr collision is nothing for a vehicle to catch fire. Furthermore, not only did the rear doors fail to open but the airbags didn’t deploy either. Driver negligence has nothing to do with these facts, which represent a solid claim. “Our policy is to support evidence rather than succumb to the ultimatum, and we are seeking to prevent more sabotage through legal means,” according to the company. Wall Street’s in a bind over whether Musk and his company will take over automobiles or whether Tesla’s production targets are too optimistic. The company’s been announcing several recalls lately so maybe Musk’s been driving his people a bit too hard. But then again, it isn’t in his blood to take things lightly. You don’t land the Space X that way. Thoughts? Let us know what you think in the comments section below and stay tuned. We’ll keep you updated in the meantime.